When I was trying to research what I would need to keep my daughters ninth birthday party organic and chemical free I was smacked in the face with a whole lot of ugly. 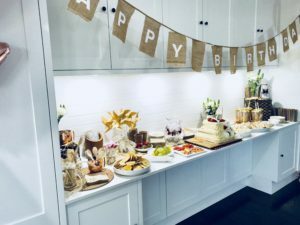 Googling or searching Pinterest for ideas and inspiration is what so many of us do when it comes to planning our kids birthday parties. I searched for the theme I was after “natural kids parties”. This I thought would give me the inspiration I needed, but I was sadly mistaken. Searching for natural kids parties will land you on images that is best described as “interesting”. You can find some hidden gems, ideas and images that are inspiring enough to tickle your creativity. 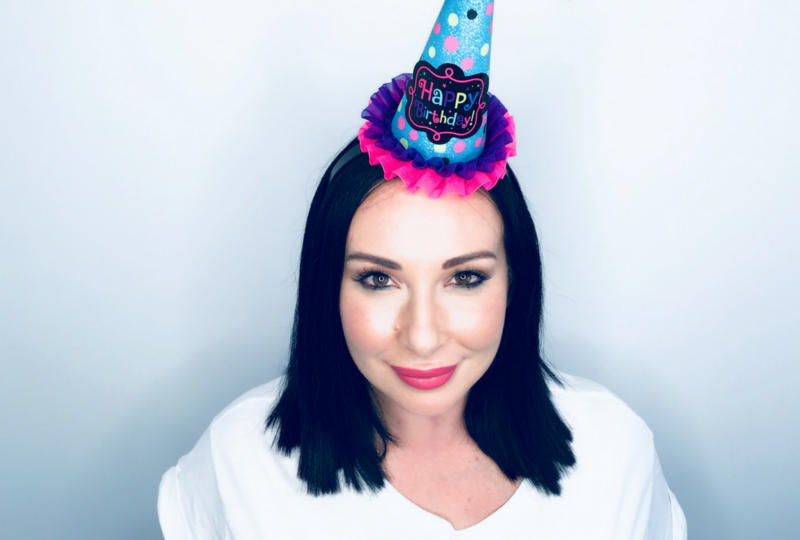 However, there are a plethora of ideas that are simply too far out there to really make kids happy at what is usually a cracking time, their friends birthday party. As you might know, I try my hardest to create a home for my family with a minimal amount of chemicals and toxins. It’s not easy. Over the years I have fallen into a groove with living this way and there’s no turning back. I simply know too much and refuse to go back. Luckily my family is in agreeance and we rock the organic brand like pros. Being organic chemical free, toxin free or whatever label you are comfortable with often comes with a side of ugly. I hate to admit it but it’s true. This is something I am constantly trying to counteract, and I am living proof that it can be done. My kid’s birthday parties over the years have been held outside our house. I have always understood that kids go to parties to party and for the majority of kids that means all the usual party treats and you know what that’s fair enough. I have always understood this and never tried to fight against it, other than requesting a fruit platter to go with the chicken nuggets and cake. Now that my kids are older and enjoy the way we do things they want to have parties that suit us. Their friends are also keen to eat better and have a good time without all the usual trimmings, it’s a very nice change of pace. This year I took my daughters 9th birthday 100% organic. It was a lot of fun putting it together and there was not a touch of ugly in sight! 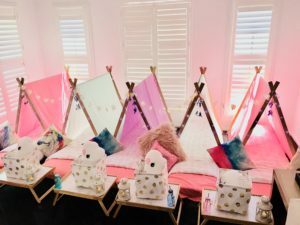 It was a sleepover party, so we were able to set up the most magnificent teepees, lights and pillows. We had a small group of girls so it was easy to make it that much more special. I took to the party planning with diligence, I sourced organic lollipops, organic chocolate drops, organic gummy bears, organic chips and I made an organic birthday cake. I also went as far as only buying recycled paper napkins, bamboo cutlery and I served water in large glass jugs filled with ice cubes that had flower petals frozen in the ice cubes. I used reusable bunting, ribbon and fresh flowers for decorating. It came out beautifully. Being a sleepover party the girls breakfast the following morning were homemade organic pancakes, organic fruit and organic juice. The entire party went like clockwork, there were no issues with going organic what so ever. Living an organic chemical free, toxin free life is truly a balancing act. Often there are times when it simply doesn’t work, it’s too expensive or putting that extra effort in is too stressful. I completely understand. Kids parties have been one of those times for me. Thankfully now my kids are getting older it’s getting easier and I can have fun doing it my way. The options are out there you just need to do some research and allow some time to pull everything together. If you are wanting to change the way you throw your kids’ parties don’t be afraid, it can be done and done well. I’m so thankful I gave it a go and that it was such a success. There’s no going back now I can throw a glamorous hippie party that tickles everyone’s fancy! Love THROWING AN ORGANIC KIDS PARTY? Or know someone who needs to read this? Please share away!